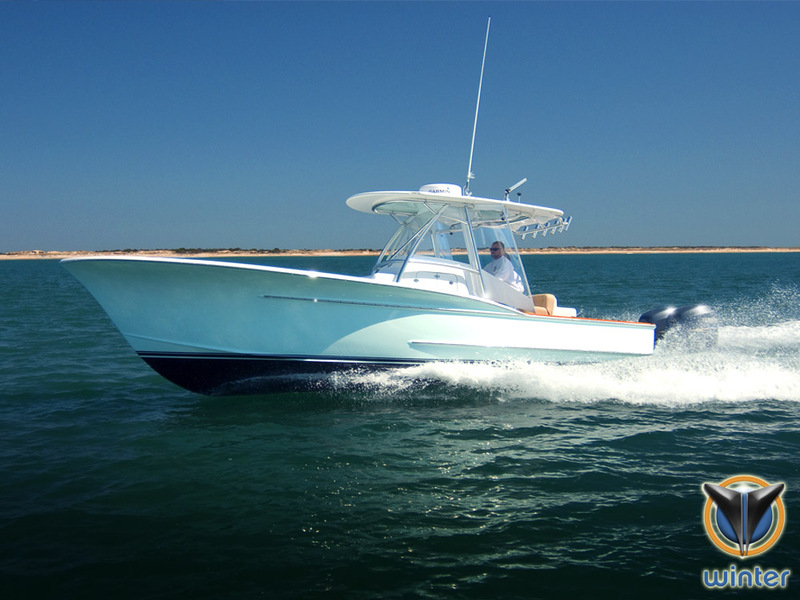 Winter’s 27′ boat is a highly customized center console, featuring classic Carolina boat styling with an outboard power package. 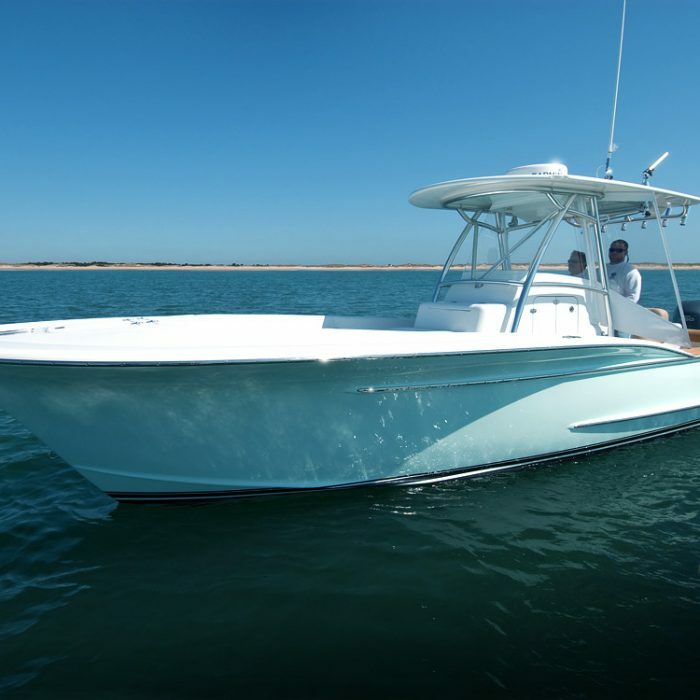 Her blend of cruising and fishing amenities make it the perfect dual-purpose boat. 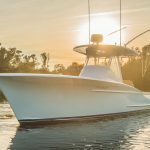 Docked at Virginia Beach, she is designed and built with deep-sea fishing in mind. 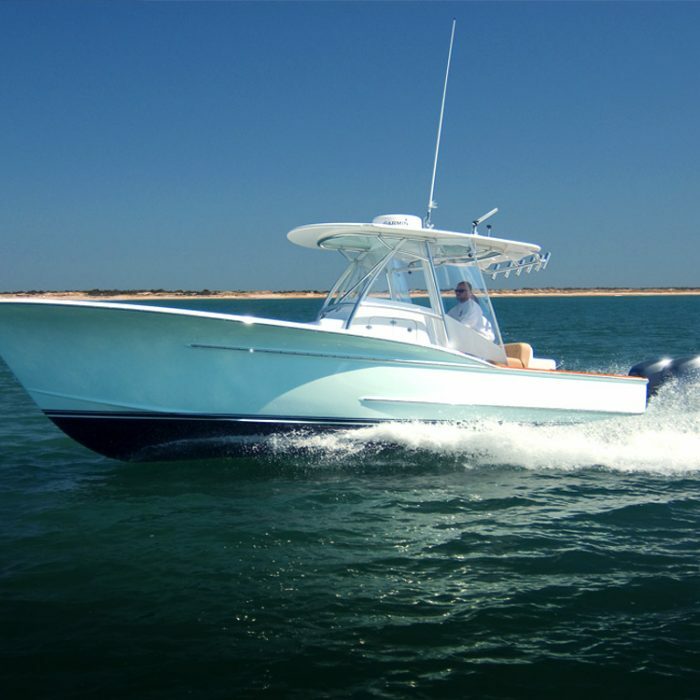 Her underwater body incorporates the sharp entry of Classic Carolina boats with moderate dead rise at the transom to improve stability and performance. 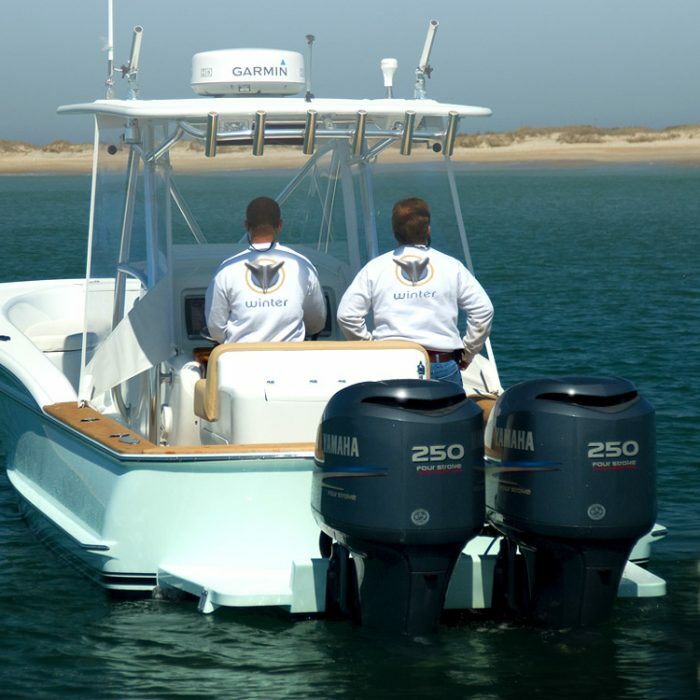 Her twin Yamaha four stroke 250 hp engines provide the most optimum performance, efficiency, and maneuverability available in an outboard application for a boat of this size. 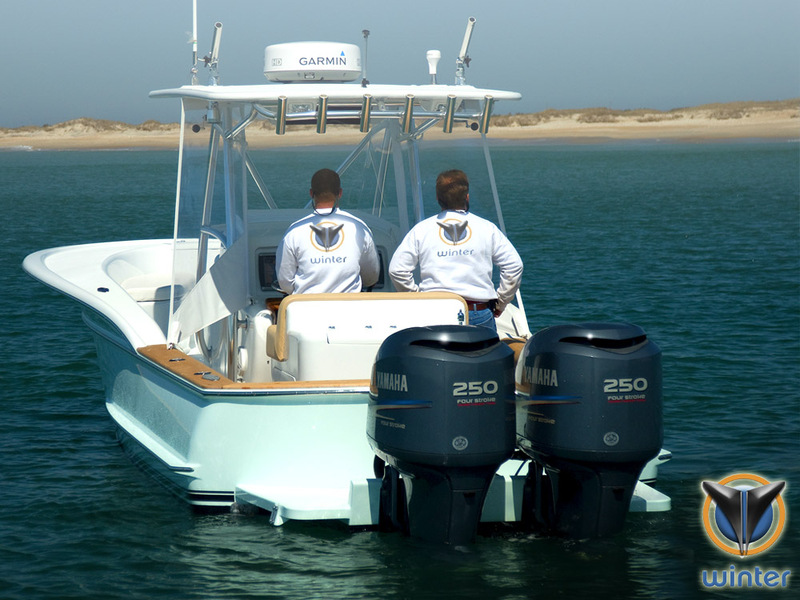 The outboard engines mounted to a custom Armstrong bracket make for a secure setup that allows a completely closed transom. 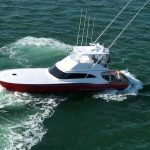 The bow deck houses a large anchor locker with copious storage for anchor rode, dock lines, and fenders. 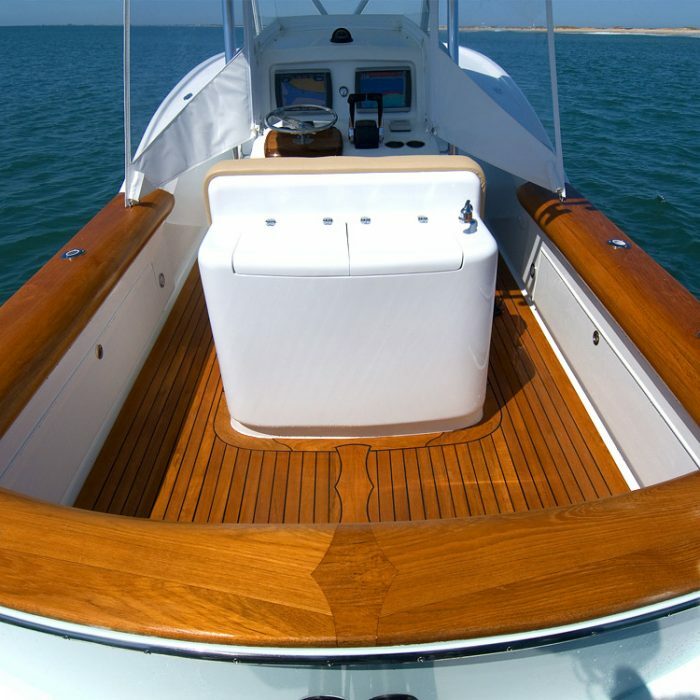 The full bolster teak covering boards and decks make this boat a real head turner where ever she goes. 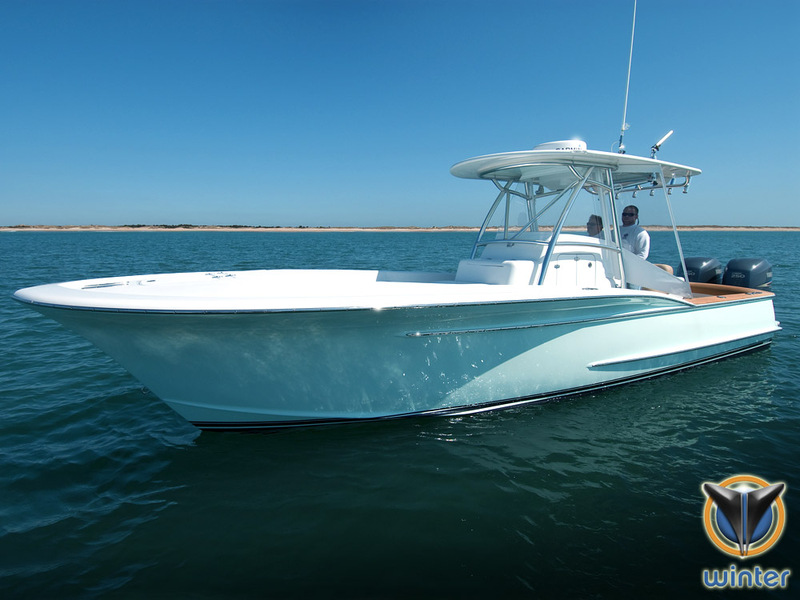 She is fitted with an oversized custom top by Carolina Custom Towers with molded in teaser reels and Rupp Z-30 outriggers. 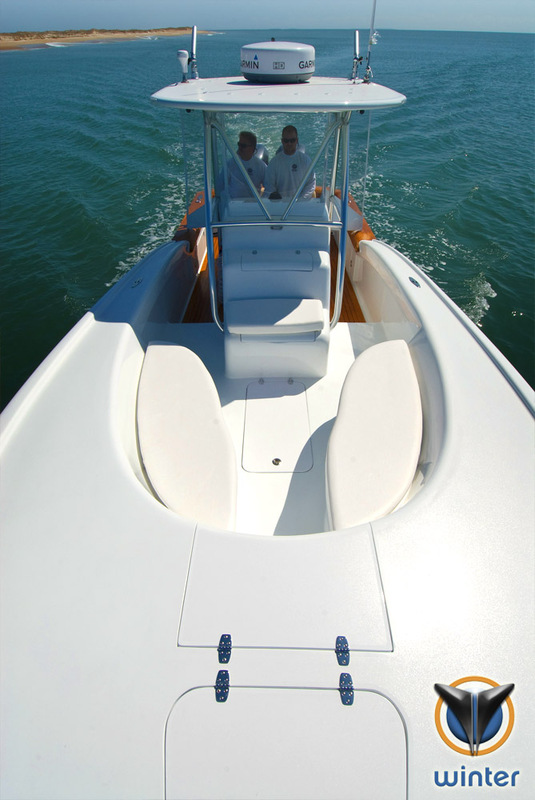 The forward seating has room for four adults to ride comfortably. Additional storage can be found below. The front of the console has a molded-in seat with two drink holders under and behind. 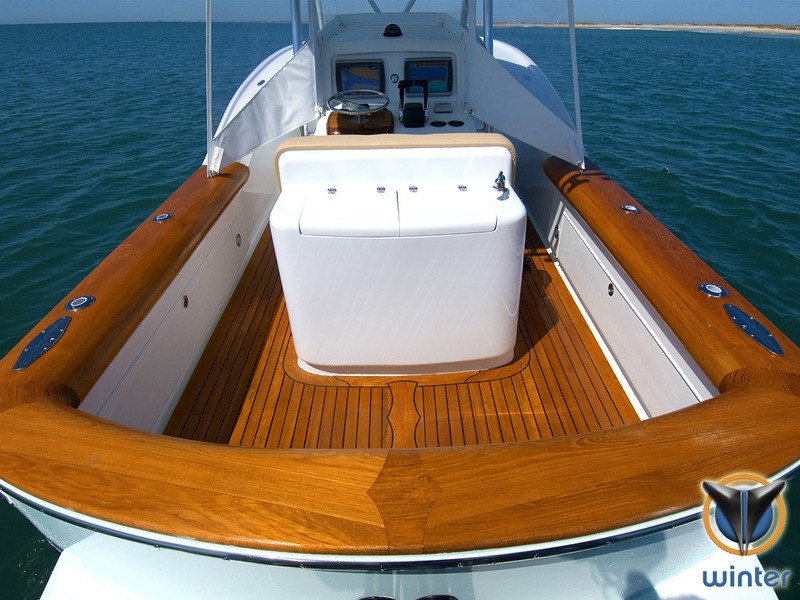 The console is sized to house two 16” monitors and a custom teak helm pod with Yamaha binnacle mount controls. The custom leaning post and cockpit has built in storage throughout. Passing through the side of the console through a bi-folding door, you will find teak accent cabinetry alongside faired and painted surfaces. 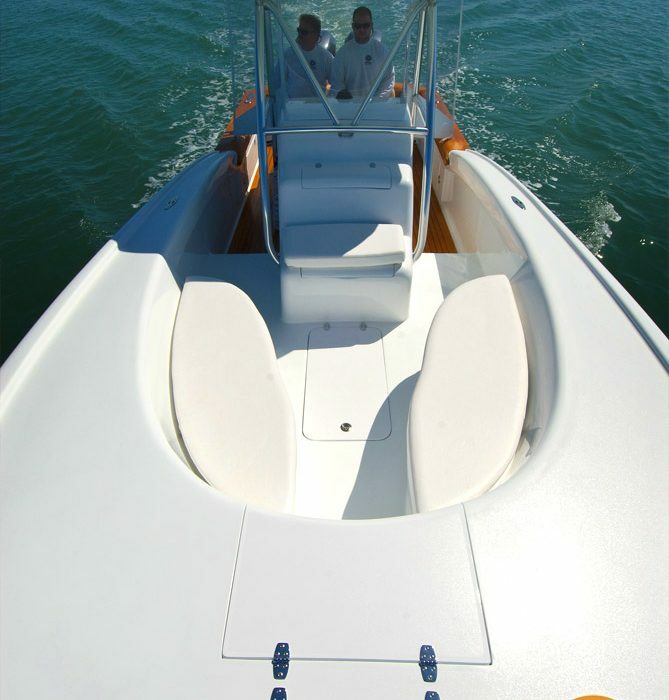 The interior includes access to all mechanical and electrical systems, as well as private use of the head.